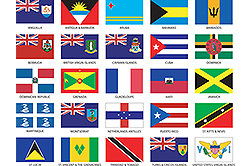 Caribbean-citizenship.info provides information about the Caribbean Citizenship by Investment Programs. Contact us to learn more about the Caribbean Citizenship by Investment Program. Caribbean Citizenship: Security. Opportunity. Peace of mind. 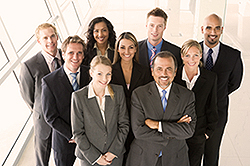 Caribbean immigration by investment programs for investors and their families. Several countries in the Caribbean have published programs that allow the acquisition of citizenship on the basis of an investment and/or a direct contribution (donation of funds) to further the countries' economic development. Full citizenship and passports are issued to the applicant and his/her family. Applicants may select from several options to meet the citizenship by investment criteria, including real estate. Given good air links to Europe and North America the most popular investment options include residential real estate such as a vacation home for personal use, or commercial real estate in the form of a rental property for income generation purposes. The Caribbean is a safe destination that enjoys a low cost of living index. The islands have long been a vacation spot for Americans and Europeans, especially high net worth individuals, who flock to the islands for their sunny and warm climate year-round. Because Antigua & Barbuda as well as St. Kitts & Nevis are member countries of the Commonwealth, citizens are entitled to certain privileges in the UK and other Commonwealth countries. A Caribbean passport allows visa-free travel to over 100 countries including Canada, Hong Kong, Singapore, the UK and the EU Schengen area countries. Passport holders require a visa to enter the US as these countries are not a member of the Visa Waiver Program. C) A non-refundable contribution (donation) of only US$ 150,000 (for a single applicant) under the Sustainable Growth Fund program. B) An investment in Government-approved projects, including real estate developments such as villas and resorts, in the minimum amount of US$ 350,000. If you prefer residency or citizenship in the European Union, relevant information can be found here: Bulgaria (EU residency/citizenship from EUR 290,000), Cyprus (EU citizenship from EUR 2 million), Greece (Greek residency from EUR 250,000), Malta (EU citizenship from EUR 1 million), Spain (Spanish residency from EUR 500,000), Portugal (Portugal residency from EUR 350,000). St. Lucia Citizenship Program. Starting from USD 100,000 (non-refundable donation to the government) plus fees.